Like most mature industries, the textile supply chain is large and complex. Materials which the lay person might view as substitutes can have dramatically different end applications. The savvy industry participant can sell the same good to different end users with exponential differences in pricing. Please excuse my pencil and graph paper first attempt. Raw materials. The major categories are; Agricultural, Synthetic and Other. Fiber formation. Here our major categories are; Yarn, Staple and Other. Rolled good formation. This is an area which accounts for the major differences between manufacturer – there are four main categories; Mechanical (Wovens and Knits), Paper/Wetlaid, Nonwoven, and Other (including Membranes). Composite assembly. The primary categories here are; Lamination, Adhesive and Calendar. End application. End applications are split into two primary buckets; Conventional Textiles (Apparel and Household – any fabrics where fashion components are a primary ingredient in their selection), and Technical Textiles (here I frequently make use of the categories used by Techtextil). One of the major activities within the industry over the past 50 years has been the introduction of nonwovens at industrial scale. By integrating the fiber formation and rolled good step and making use of polymers as a new source of raw materials; these fabrics were produced at much lower costs to their competitors. This allowed them to win many markets where cost was a primary concern by replacing cheap wovens and knits. Areas such as b-surfaces in vehicles, blankets and bedding where fashion was not an important element (such as on airplanes or mattress / furniture interiors) and the rag markets were quickly won over. These nonwovens then went on to enable new markets; improved filters, as part of layers in increasingly sophisticated hygiene products, and finally wet wipes – a category which had previously not existed. For the next 50 years the complexity of the industry will create opportunities for those companies capable of; (1) identifying the right end markets, and (2) the right spots in the supply chain to insert new production methods. Finally, as new materials come to the market, the importance of composite assembly will grow in importance. As new kinds of rolled goods come to market, they will show that they can be combined with other materials to enable best-in-class performance across a wide array of customer specifications. 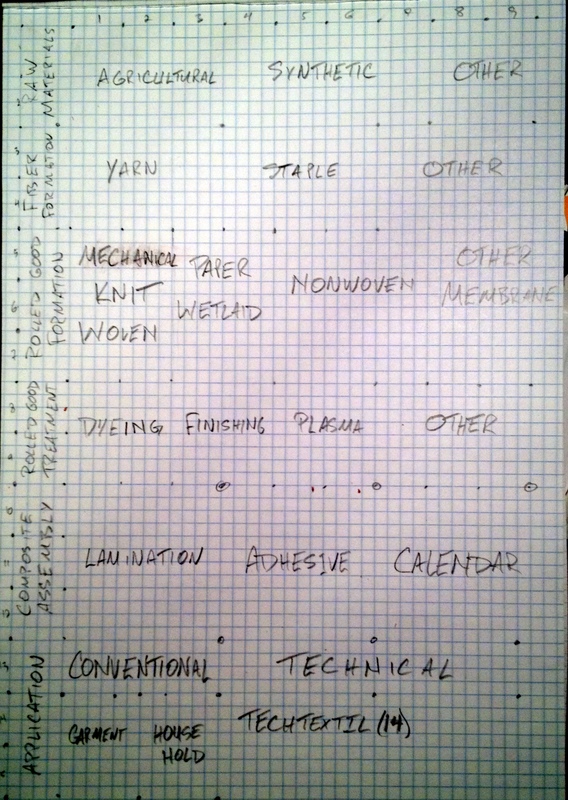 This entry was posted in Industry, Materials Science, Textile. Bookmark the permalink.